I am a huge fan of oil cleansers and so I was apprehensive to test this out as I would say I am a true, loyal user of the oil cleanser and haven't really got on with the balm ones or the cream ones too well in the past. 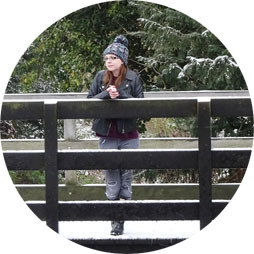 I do however know I should always push the boundaries and test new things, in the name of science and blogging, as well as to see if something else works better for me. 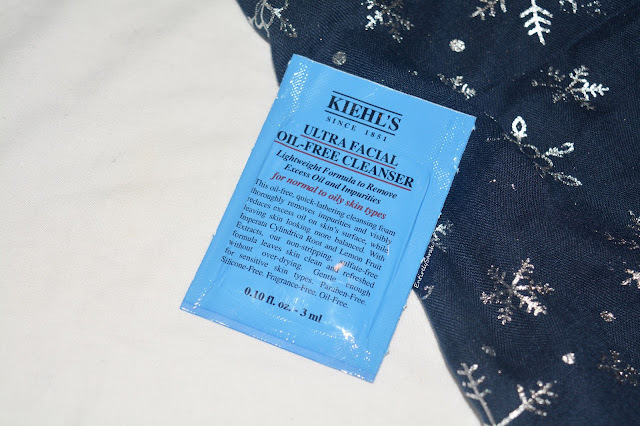 When I got a sample of the Kiehls ultra facial oil free cleanser I was excited to put it to the test on a full face of make up and see how it faced off with my oil cleanser of choice. I have a sample sachet of this so it comes in a little foil packet and I do like these, it was a little difficult to open but with the help of some nail scissors I had to hand in the bathroom I was in it in no time! I feel like the squeeze tube style packaging suits the product and the formula if you buy the full size and I think it will be a great product to use and work with as the packaging would be easy to open and use and control the amount you use. The product is a cream consistency and it is a really nice light cream texture that doesn't feel heavy on the skin. It works into the skin really easily and has a little bit of a foam like consistency as it works into a lather on the skin. I had a couple of samples of this that I had accumulated over a few treats and goodies that I had got from Kiehl's and so I was able to give this a few tests getting about two uses from each sachet. I used this over make up and it removed it all really well, and I used this on bare skin and felt both times that it worked into a beautiful lather and really did clean my face, removing all my make up and remnants of any grime or dirt that may have secretly accumulated through the day. When using the cleanser it was really easy to work into the skin and dissolved make up easily, as well as being really easy to rinse off with a damp flannel. I feel like although it says to avoid the eye area, i did accidentally get it on my eye lids and I am glad to say it didn't sting or irritate them. I obviously wont recommend using it around the eye area, just because Kiehl's say not to, but I think its one that on the rare occasion it met with my eyelids and eye area it wont be an issue. I was impressed with how easy this was to use and I didn't feel I needed to wipe over my skin multiple times like I do to remove some other cleansers. Overall, I am so impressed with this cleanser, I am a total lover of all things oil cleanser and I have to say,I might not be fully converted, but it is the first cream cleanser I have genuinely felt like I could replace my oil one with if I needed to. I think this is something that I would definitely look into buying and one that I have really enjoyed testing. My skin felt smooth, soft and clean and I was very impressed with how it worked to take off my make up considering it isn't strictly marketed to do that. I definitely recommend this cleanser and I want to check it out more in store when I am next near a Kiehl's as I have enjoyed the samples more than I thought I would. At £16.50 here, I feel like this is a really nice mid range cleanser. The 150ml tube will last a really long time and is one that I think is worth considering if you prefer a creamy cleanser over an oil one. I don't have oily skin but this is said to reduce oil and I think it definitely feels like it will go towards doing that for the bit of oil I do get on my skin. I would love to know what cleanser you are loving at the minute as I love testing new things and love seeing what you recommend to try out, so do let me know in the comments!